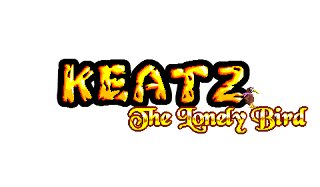 From today, I, the developer of Keatz: The Lonely Bird game, will continuously post new topics instead of posting in the same page which becomes hard to scroll down and see all the updates again and again. There will be different kinds of blog posts at least once per week with new content, updates and patches. Since, I am the only one operating both anamikmajumdar.net and amaxang-games.com websites, it becomes hard to get some time to keep them updated but I try my best to find out an ideal time for this. Today, I have introduced Parallax Motion effect which seems to be one of the best feature of a platformer. I actually got this suggestion from one of the Facebook groups which let me to believe that it would be a cool feature to have especially in outdoor levels. The benefit of adding Parallax motion effect to the levels is that it makes the motion effect realistic and gives it a 3D feel. I have also noticed this effect in the old school games like Mario, Sonic and it was an important feature which I missed when I had worked on my first game. According to gif images shown above, the differences are distinctively visible. Besides, the second one looks realistic and far better than the first one. This concludes that the feedback which I had received from one of the users on Facebook was really helpful and at the same time, I have learned something awesome and it will be helpful for my future projects also. Game development process is all about learning new stuffs, experimenting with new features and game mechanics. The parallax motion effect was initially introduced in cut scenes way before I received any feedback and I was not ready to introduce that feature in levels that time. To be honest, I introduced it at the later stage of development when I was going through the feedback/bugs list. Finally, the parallax motion effect has changed the look and feel of the game completely. I will keep this feature in mind while making my next platformer with outdoor levels or even in some weird levels. Who knows? I make weird games too. I hope that you have enjoyed this article and if you really like it please consider subscribing to the newsletter HERE and I will send you special discount coupons and news regarding new game releases or you can try out my other games HERE. More updates will be available in the next #screenshotsaturday and before that too . Until then, stay tuned and see you next time. See ya!